New York; Dec. 5, 2017 – U.S. consumers are locked in a vicious circle with brands over customer experience, according to new research from Accenture (NYSE: ACN). 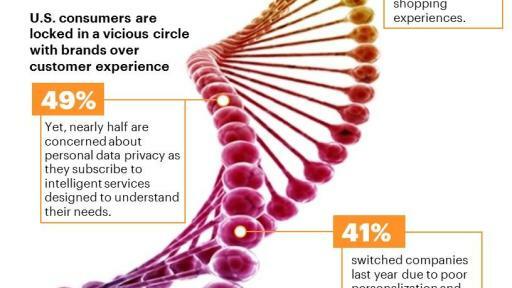 While 44 percent are frustrated when companies fail to deliver relevant, personalized shopping experiences, nearly half (49 percent) are concerned about personal data privacy as they subscribe to intelligent services designed to understand and anticipate their needs. Poor personalization and lack of trust cost U.S. organizations $756 billion last year, as 41 percent of consumers switched companies. Without deeper customer insight, companies cannot deliver the experiences they crave. The thirteenth annual Accenture Strategy Global Consumer Pulse Research gauged the attitudes and expectations of more than 25,000 consumers around the world, including 2,000 U.S. consumers, about their appetite for more intuitive, technology-driven brand experiences. As organizations strive to become ‘living businesses’ – companies that are extraordinarily pre-emptive and responsive to changing customer needs – the study revealed a significant digital trust deficit that must be addressed before true customization can be delivered. “As technologies such as artificial intelligence, machine learning and digital assistants become more sophisticated and mainstream, companies are creating new touch points, offerings and services that intelligently anticipate and flex to their customer’s precise needs, offering a level of hyper-relevance not experienced before. Those that succeed will hit a ‘sweet spot’ whereby U.S. customers will be willing to share more personal insights into their world in return for greater value and the confidence that their data is protected,” said Robert Wollan, senior managing director and Advanced Customer Strategy global lead at Accenture Strategy. 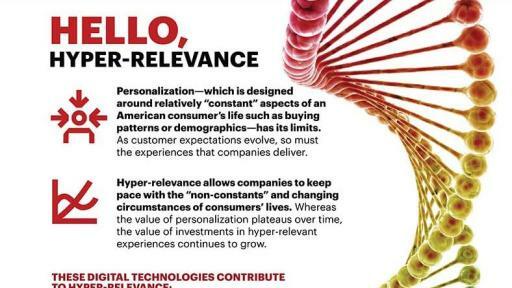 Forty-three percent of U.S. consumers are more likely to shop with companies that always personalize experiences, as long as their trust isn’t compromised. Nearly a third (31 percent) say they would find great value in services that intuitively learn about their needs over time to customize product, service or content recommendations. Digital trust remains a critical barrier to enabling hyper-relevant experiences. Expectedly, a clear majority (92 percent) of U.S. consumers say that it is extremely important that companies protect the privacy of their personal information. Another 79 percent say it is frustrating to realize that some cannot be trusted to use it appropriately. Forty-three percent of U.S. consumers fear intelligent new services will come to know too much about them and their family. Overall, 66 percent want companies to earn their trust by being more open and transparent with how their information is being used. “Digital trust will become increasingly challenging for companies to achieve as they look to capture new categories of customer data, such as biometric, geo-location and even genomic data, in their drive for greater relevance. Customer concerns will inevitably rise, so it’s critical that companies have strong data security and privacy measures in place, they give customers full control over their data, and are transparent with how they use it,” said Kevin Quiring, managing director, Advanced Customer Strategy North America lead, Accenture Strategy. Giving customers full control over their data – As customers demand greater control over how companies use their personal information, organizations must become more transparent. Customers must be given full access to, and control over, their data which will demonstrate responsible stewardship and ethics. Furthermore, they must ensure the appropriate safeguards are in place to protect it. To find out more about the report, visit www.accenture.com/GCPR-Hyper-Relevance. 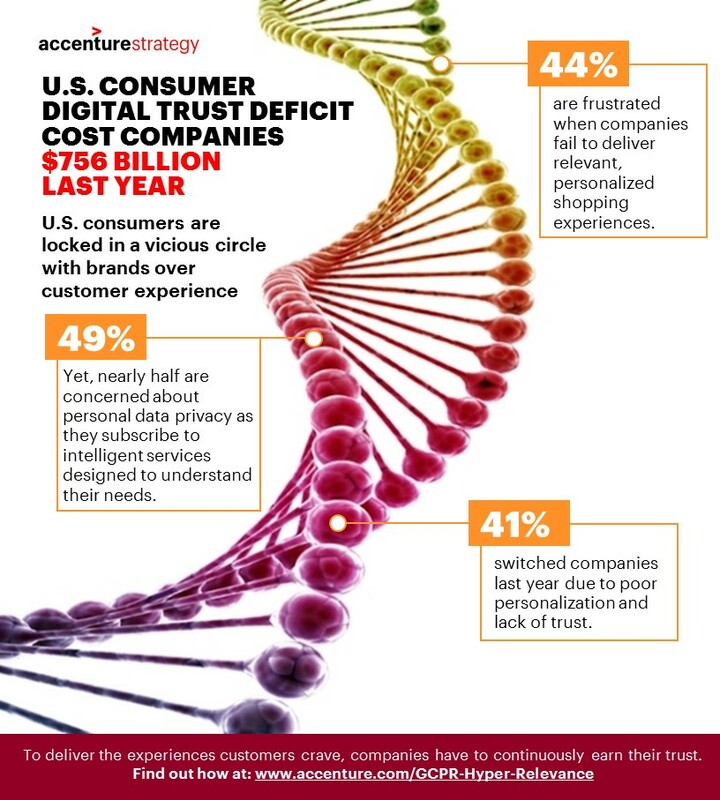 Join the conversation at @AccentureStrat #GCPR #CX. The thirteenth annual Accenture Strategy Global Consumer Pulse Research (GCPR) surveyed more than 25,000 consumers from around the world about their appetite for more intuitive brand experiences. The survey included online responses from respondents in: Argentina, Australia, Belgium, Brazil, Canada, China, Czech Republic, Denmark, Finland, France, Germany, India, Indonesia, Ireland, Italy, Japan, Malaysia, Mexico, Netherlands, Norway, Philippines, Poland, Russia, Singapore, South Africa, South Korea, Spain, Sweden, Thailand, Turkey, UAE, United Kingdom and the United States. The survey was fielded in June – July 2017.